We’d love your help. 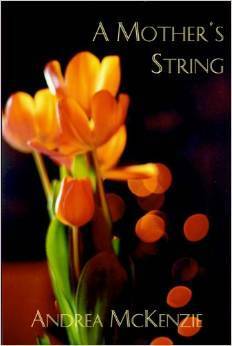 Let us know what’s wrong with this preview of A Mother's String by Andrea McKenzie Raine. A Mother's String is about the lessons we learn in love and patience. It is about the family ties that bind even in the absence of those we are bound to. The poems are haunted by the memory of homes lived in or wished for. In them we remember our younger selves who have still to learn how far we can climb, how far we can fall. To ask other readers questions about A Mother's String, please sign up. Which poem or theme in this collection struck you the most? I will never reach home"
Can I perhaps mention before we get down to it that I am no scholar or systematic reader of poetry. However, in the books I have read of Andrea's I have have she has a special way with words. I was keen therefore to get and read a copy of an early book of her poetry. I have now read it twice in two separate sittings and recommend it without hesitation. Some poems I still don't get others I will return to again and again. Without question Altzheimer's is a stand out poem that doesn't mention the con Can I perhaps mention before we get down to it that I am no scholar or systematic reader of poetry. However, in the books I have read of Andrea's I have have she has a special way with words. Some poems I still don't get others I will return to again and again. Without question Altzheimer's is a stand out poem that doesn't mention the condition by name within the poem but even without the title you would understand the illness for what it is. "....passing time, time being lost." "I am here wrapped in mysterious lapses of time ....." Powerful stuff but the first three words are those that resonate "I am here ......." so often we feel we have lost a loved one to this new reality but they remain present if caught in a different time. A themed collection in three parts mostly reflective and about relationships. Strong ideas wonderfully expressed and captured in brief words or within the whole poem. "Have you ever heard the sound of death approaching? It is the moment before you know yourself." I enjoyed this book and identified with the feelings shared or produced in reading these verses. 'Domesticity' strikes a chord. 'Backstrokes' was clever while 'A Mother's String' and 'Birth Mother brought me close to tears. It is astonishing that such a young poet is so aware of the ambiguities of string. From umbilicus to birthday wrapping to leash to apron string, Andrea McKenzie uses the emotional material at hand to present the ordinary and sometimes extraordinary experience of girls—rejection, love, cruelty and reconciliation —in neatly wrapped packages of loss and redemption. Already McKenzie has learned how to offer her poems as gifts for the world. Her last lines make magnificent bows: I said it back/ When this happens, remember your body and stay there/the cord gets tangled/a hand coming down upon her head. Her linked images are proverbs knotted on a string so that none of them may be lost on the journey from darkness to light. Most delightfully, McKenzie’s quest takes her directly from the intensely personal to the universal. Unlike those poets who circle themselves and get nowhere, she has already turned from self-healing to mending a broken world. A beautiful collection of poetry. There were so many clever and beautiful phrases in each poem. I received this book for free through Goodreads First Reads. Review to follow. I was happy to have won this in a giveaway! The cover is beautiful. My favorite piece in this book has to be "Alzheimer's". "We keep walking in familiar circles, never reaching familiar places, and I feel as though, I will never reach home." I recommend this to anyone who wants to have an enjoyable read. Truly a must read for those who miss home. This has made me more appreciative of yesteryears with family. Very good I loved every poem nearly and it was just overall great.